A 70-year-old lady with past history of left-sided mastectomy for Ca breast since 18 years. She presented with a progressive ipsilateral upper limb swelling. Many tense blisters of variable size developed in some areas especially the dorsum of the hand and near the wrist area. On pncturing of few vesicles, a clear fluid was emerged. 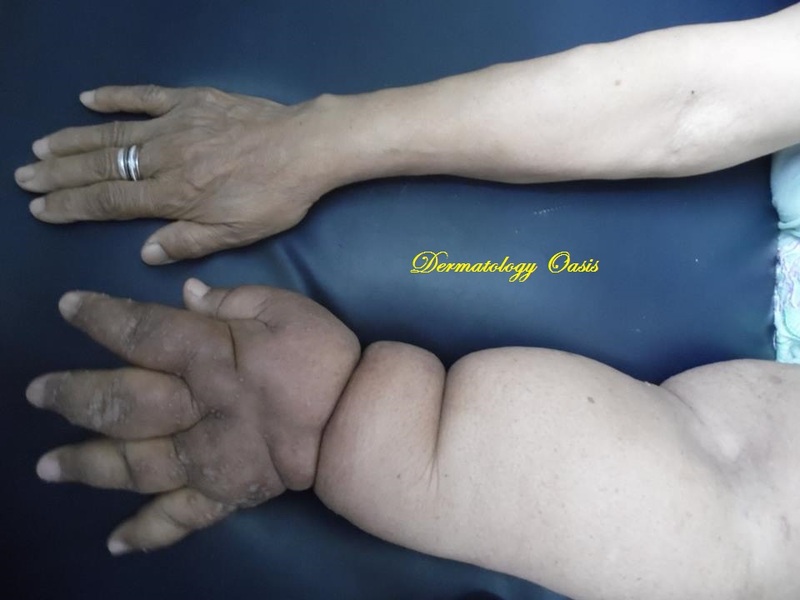 Lymphangioma circumscriptum complicating chronic lymphedema following mastectomy has been reported on many occasions. A case presented by Ayman Abdelmaksoud, MD (Egypt).